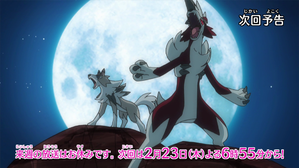 » Episode Guide » Viewing Episode: 爪あとの丘、イワンコとルガルガン！！/Scratchmark Hill, Iwanko and Lugarugan!! The Fruit of Courage: Lilie and Rokon! A Tiny Trio on a Big Adventure! !